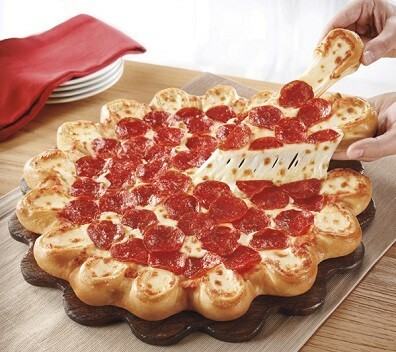 Why aren't you camping out at Pizza Hut for this? The new pizza will go for $12.99 for a single-topping large, $3 more than a standard one-topping. "It's like a stuffed-crust pizza, but you can see the cheese," said Jessica, an employee at the 775 E. 400 South Pizza Hut location. When asked if people have been calling all morning about the new pizza, she replied, "No, you're the only one." Though impressive and historically significant, the Crazy Cheesy Crust Pizza pales in comparison to its cousin, the Pizza Hut Crown Crust, which features hot dogs, chicken nuggets and even open-faced cheeseburgers. But, unfortunately for us, these magnificent works of art are only available in foreign markets, like Canada. Before today's announcement, the only hybrid pizza available in Utah was the Secret Handshake Burgizza at Boardwalk Pizza in Sugar House. Which, (cough) you should go try. 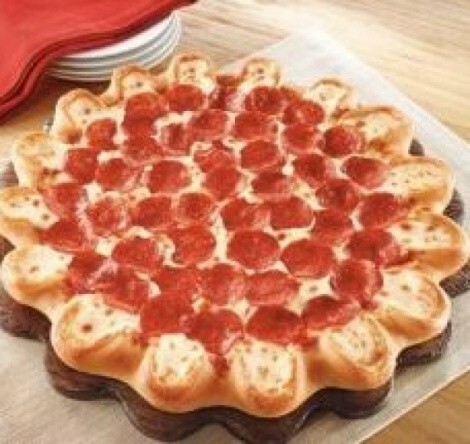 The Crazy Cheesy Crust Pizza debuts Wednesday at 10:30 a.m.